With over 23 years experience in assessing and treating running related injuries as a licensed physiotherapist, Darren utilizes a biomechanical approach to both injury prevention and management. 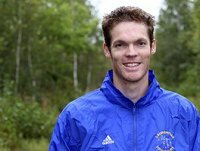 A former national level cross-country and track runner, Darren also has 18 years experience as a coach of middle distance (800m through 5km) and distance runners (10km through Marathon) as part of the Track North Athletic Club and Laurentian University. Darren's assessment philosophy is to identify and address the movement and muscle imbalances that impede proper running biomechanics and cause injuries to occur. Darren teaches his clients self-corrective exercises that restore normal joint motion and strength. Darren also has extensive experience in running gait analysis in addition to treating musculoskeletal injuries from a wide variety of sports. Kathy has been a licenced physiotherapist for 23 years working in the areas of neurology, orthopedics, oncology and bariatrics. Kathy has completed additional training in myofascial release and manual lymph drainage and is also a certified Yoga Instructor (Kripalu). 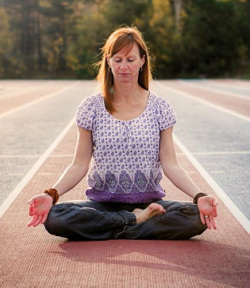 A former nationally ranked sprinter, Kathy can work with you individually or in a small group to develop a yoga routine to address many of the flexibility and strength issues faced by runners and athletes from other sports. For non-athletes, Kathy can also provide yoga instruction to improve your overall fitness and well-being.